If you think Los Angeles and Fresno are both interesting, wait till you get in between. Bakersfield is almost exactly at the middle of both urban towns, offering a happy medium from the hustle and bustle of city living. Though it is quite a big city in itself, this gem in California remains a great place to stay and settle. For one, there’s always the promise of a stable job. It remains Bakersfield-Delano Metropolitan Statistic Area’s focal point, and is one of California’s fastest growing cities. Be part of the city’s success by acquiring a property before prices skyrocket. 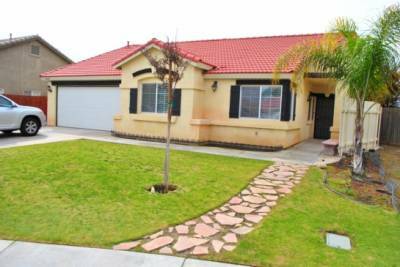 JohnHart offers the services of real estate agents who can provide you with options such as reasonable Bakersfield short sales. If you’re currently a homeowner and are facing bankruptcy or mortgage problems, there’s no need to get distressed. You can still short sell your home regardless of its current home value. JohnHart works with banks to provide customers with practical solutions that provide them mortgage help. The solution lies in listing your home for a Bakersfield short sale. It’s easy to understand why it’s so difficult to leave town, that’s why our real estate agents understand what location means to you. You can relocate in another town, say near corporate headquarters or near east Bakersfield’s plateau and large bluffs. The community has a multitude of services to offer, with neighborhoods found beside bustling commercial streets. Recreation abounds with sites such as championship golf courses and a number of more ideal neighborhoods. For this reason, you’ll find it an easy transition when listing your home for a short sale or purchasing a home from JohnHart’s extensive short sale lists.